After five years of development and product testing at marinas and on private docks from Texas to Maine, StormFender will make its boatshow debut at the 2014 United States Powerboat Show in Annapolis, Md., October 16 to 19. 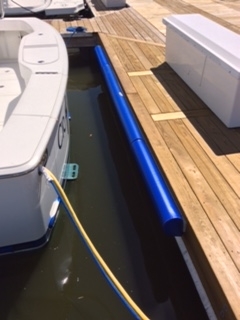 Two years ago, the Newport Yachting Center, in Rhode Island’s historic Newport Harbor, installed StormFender on its very busy fuel dock. Recreational boaters and marine industry professionals are encouraged to stop by booth D52 at the United States Powerboat Show in Annapolis, Md., between October 16 to 19 to see first-hand the latest in boat fendering.